FICA commends the ICC on introducing T20I status for all member international teams. In line with FICA’s 2016 International Cricket Structural Review, FICA supports inclusiveness across the game and the view that T20 is one key vehicle to growing and globalising the game. 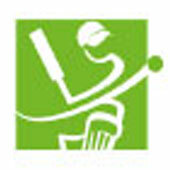 FICA notes that new minimum standards will be developed to ensure T20I is sustainable and affordable. FICA encourages that aim to be balanced with the need to ensure appropriate protections are in place for players and other stakeholders as the game grows in volume and prominence in more countries. FICA continues to advocate for clarity and simplicity in the global cricket calendar, and a balance between new domestic T20 and traditional international cricket focused markets. FICA notes the formation of a working group to consider issues around ensuring international cricket remains attractive to players. It is hoped that this working group will appreciate the critical importance of engagement with players and their collective representatives in order to establish a workable framework. Clarity in the calendar, incentivisation, and a fit for purpose regulatory framework will be important for the game and players moving forward. FICA continues to oppose arbitrary or restrictive regulations imposed on players that are not part of a collectively agreed framework. FICA is supportive of collaborative processes to address issues in the game and is encouraged that the culture across cricket at various levels will be reviewed. FICA is concerned that the main published focus of the ICC review appears to be stricter and heavier sanctions on players. The players are a product of the professional and organisational environments they operate in, and any global review and process should not simply focus on player sanctions. A genuinely collaborative negotiation of codes based on reciprocity with those who run the game, coordinated global education, and syncing of international and domestic processes where possible, will all be important to the success of overall measures. FICA welcomes the introduction of concussion guidelines and looks forward to further engaging with the ICC to ensure that guidelines are based on science, and enforceable consistent standards to ensure players around the world are protected by the game. FICA congratulates Belinda Clark on her appointment to the Cricket Committee. FICA continues to urge the ICC to afford women’s players the same right that men’s players have to a player nominated representative on the Cricket Committee, or other appropriate body. In FICA’s latest global player survey, 100% of women’s players believe this should happen.